Subject : Apple Next Smart Phone Updates, iPhone-6 Release Date in India. Apple is top selling Smartphone in the World market, with the great challenge has comes in place of chine apple : Xiaomi . Apple Inc has scheduled a “big” media event related to the iPhone 6 for September 9(unofficial). Apple usually launches the newest version of its iPhone in September month Ecery year this year it likely to be on September 09, 2014 (Unofficial). 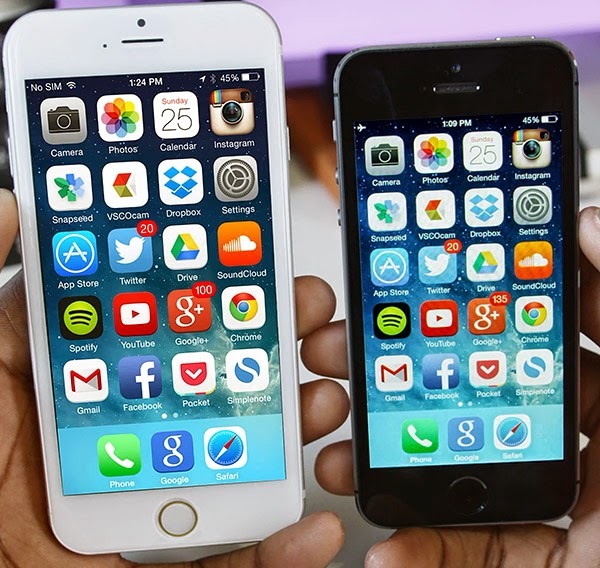 it's immediately obvious that the iPhone 6 will likely arrive with a bigger screen. The case is larger than the iPhone 5s, and its thinner, with a much rounder design. One big change is the relocation of the power button from the top to the right hand side, where it will be easily accessible with your thumb, Samsung Galaxy-style. Apple’s current iPhone models, the 5S and 5C, have a 4 inch display panel. The company has asked suppliers to manufacture 70-80 million units of the new large-screen iPhones by the end of the year. Looking at the rear, the pill-shaped flash cutout has been replaced by a circular one, suggesting that Apple has either ditched its dual two-tone LED flash, or it's managed to cram both LEDs into a circular space. The company did not immediately return emails seeking comment. Analysts and media reports have said Apple may launch two iPhone models with 4.7 and 5.5 inch screens this year to compete with Samsung Electronics Co Ltd’s popular Galaxy Note 3 phablets, which have a 5.7 inch display. Size : 4.70 inches / 5.5 inches. Memory : 16/32/64/128 GB, 2 GB RAM. Protection : Shatter proof sapphire crystal glass, oleophobic coating, Water resistant. Price : Around 650 EUR.